This is not my favorite LO, but I love the pictures of my beautiful nieces. Their laughter on this day was so genuine and catching. I like the bright colors in the Designer paper and my new thing – hand drawn elements on the page. I love scrapping my nieces, this is Gwyneth taken at Easter 2010. 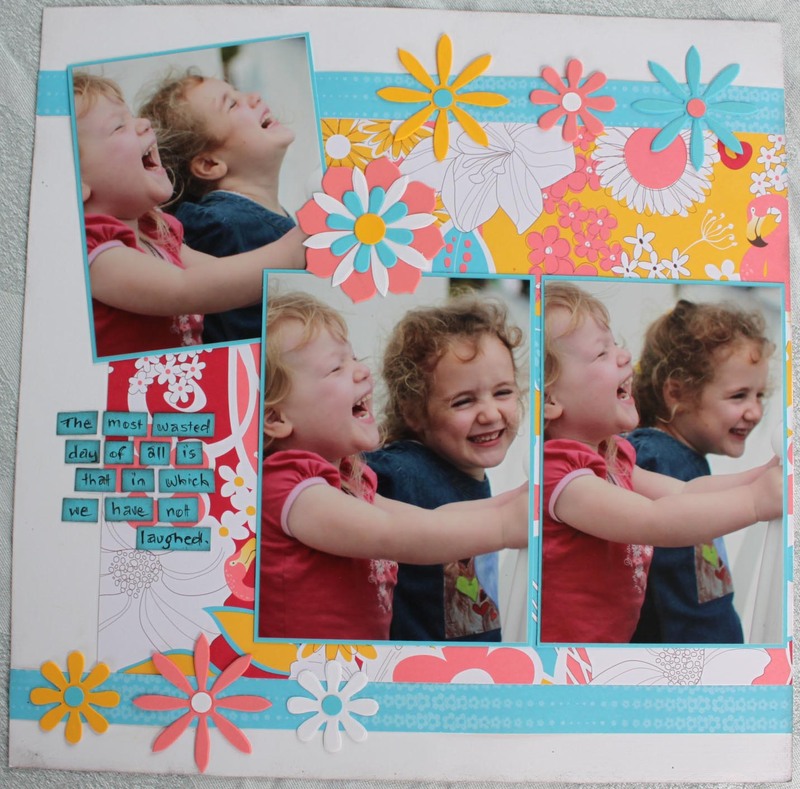 Scrapbooking is so much more fun when you have such wonderful subjects. The bright colours in the paper are so girly. I tend to use plain card stock for my backgrounds a lot more than I used to, but I often stick to white or crumb cake (kraft) – note to self to use different colours. I challenge myself to use my stamps on my pages rather than just for card making. I am not a great journalling scrapper and find that sentiment style stamps can be used where journalling would normally go. I tend to write the names of the photo subjects, place and date along the edge of the LO or hidden somewhere in the page. I love scrapbooking my boys. I think they get ‘over’ the amount of photos I take of them – the joke is that every inch of their lives is scrapbooked = they often say “MUM, is nothing sacred! !” and the answer is “NO, sorry boys!! !” With boys to scrap I often find it more challenging when it comes to embellishments, sometimes flowers and fancy ribbon just don’t cut it. 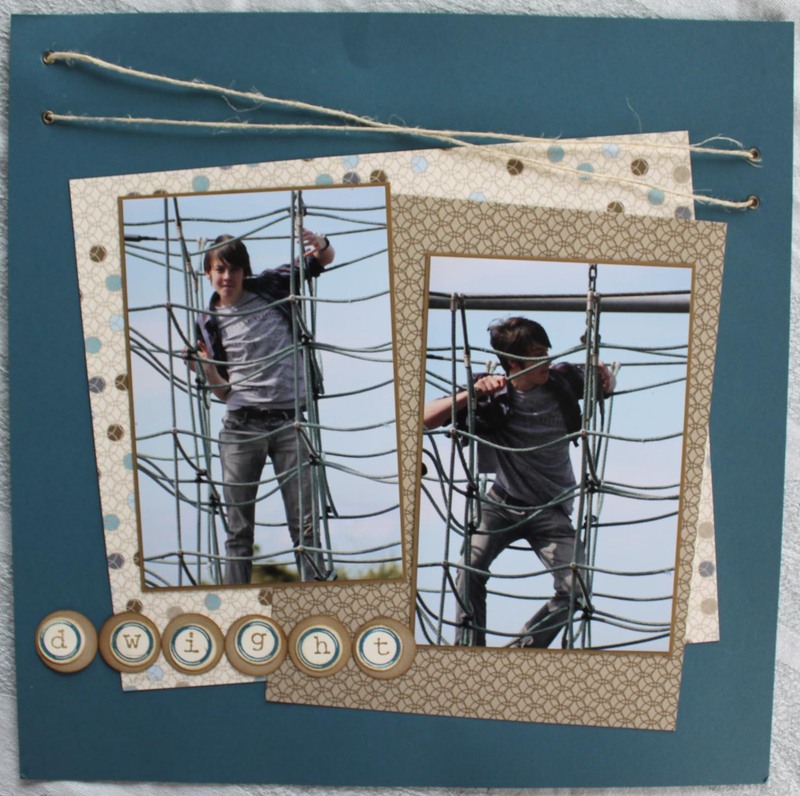 (I do use flowers on the boys pages sometimes – well, actually whenever it will work, much to their disgust) For this LO I used some hemp twine for a design element and I think it works well with the pictures.